It seems Sony isn’t ready to give up on its dream of a 4K smartphone future just yet. Sony is planning to launch a new handset with a 4K display, according to a new rumour. If it exists, it would be Sony’s second handset to use an Ultra HD screen, after last year’s Sony Xperia Z5 Premium. The post in question suggests that we’ll see a 5.5-inch handset with a 4K display, as well as a Full HD variant with either a 5-inch or 5.2-inch display. It also adds that the phone will debut at the Consumer Electronics Show 2017 in Las Vegas next January. Unfortunately, this news comes courtesy of Mobipicker, sourced to a Weibo post. As such, we’re not entirely convinced by its worth. While the Chinese social media site is a hotbed of leaks, it’s tough to separate the wheat from the chaff. We’d recommend taking this latest report with extreme caution – there’s every chance it’s complete guff. Mobipicker seems convinced that the leaker ‘Reviewer’ is reputable, but we can’t speak for his track record. But it does throw up an interesting point, specifically that the idea of a 4K smartphone is far less offensive than it was back in 2015. That’s because virtual reality is increasingly prolific, and docking phones in VR headsets are one of the few compelling arguments for having a battery-draining Ultra HD screen on your handset. After all, when you use a phone for VR, the screen turns stereoscopic, effectively halving your display’s resolution. Couple that with the fact that you’re now just an inch away from the screen, and suddenly having a super high-density display is important to ensure you’re not viewing a pixellated mess. Sony’s first (and only) 4K smartphone was the Xperia Z5 Premium, but it came with a catch: the 4K mode would only be enabled for media playback, rather than being enabled permanently. This was likely in a bid for improved battery life, but it did lessen the impact of the feature. We gave the Xperia Z5 Premium a 3.5/5 score in our review last year. We praised its high-quality screen, good performance, and expandable memory, but weren’t so keen on the camera, the price, the 4K resolution mode, or the battery life. 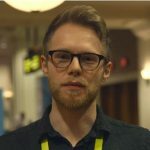 In any case, the TrustedReviews team will be out at CES covering all the action, so if Sony does show off a 4K handset, we’ll be there to give you all the latest. Would you like a smartphone with a 4K display? Let us know in the comments.